Lincoln, Vermont was initially settled by Quakers. The entire town of Lincoln is in the Green Mountain National Forest and hosts part of the Long Trail. From here you can reach Mt. Abraham or the lookout of Lincoln Gap. 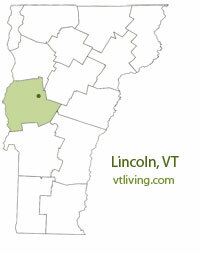 To share any Lincoln, VT information, please contact us. Learn more about advertising in VTLiving.